I seem to be always in the process of growing either hydroponic lettuce using the Kratky Method I wrote about in a previous article, or I am growing tomatoes. Since the Kratky method allows us to grow in just about any lidded container that can hold water, there is a constant need for me to calculate how much nutrient-solution (fertilizer water) I need to mix up for the various container sizes I use. 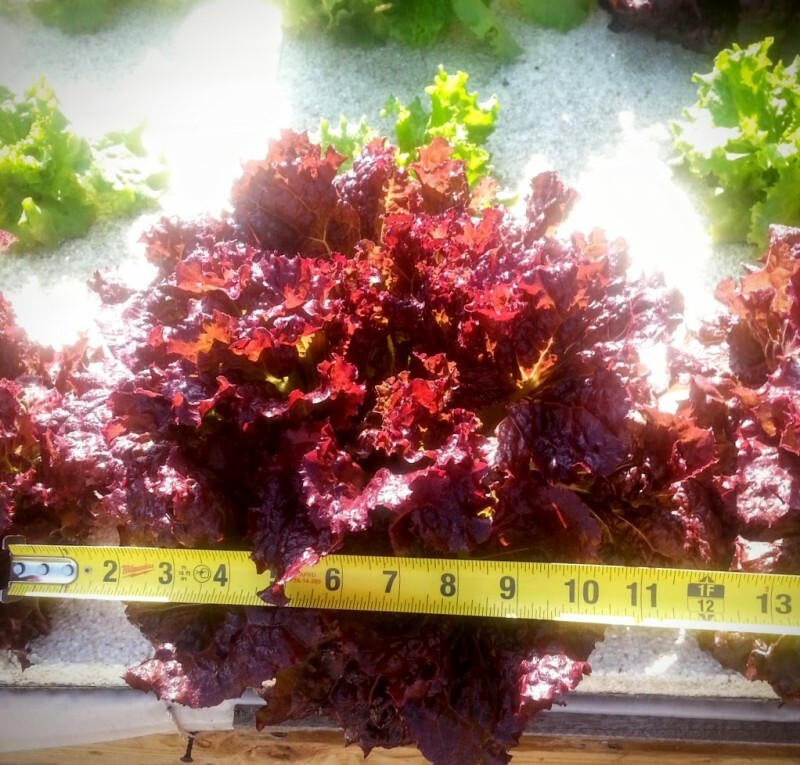 So to simplify the process, I made up a hydroponic nutrient solution calculator for lettuce and tomatoes using Masterblend 4-18-38 fertilizer, Calcium Nitrate, and Magnesium Sulfate. 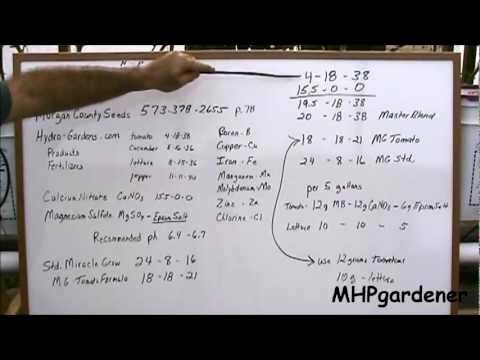 The fertilizer calculator uses the mixing instructions provided by the MHPGardener Youtube channel for both Tomatoes and Lettuce. It uses Masterblend 4-18-38 Tomato fertilizer as its base, and also requires Calcium Nitrate, Magnesium Sulfate (aka Epsom Salt), and water. Changing the quantities allows the same four ingredients to make nutrient solutions for both Tomatoes, and Lettuce, as well as other plants. You can use the nutrient solution provided by the calculator to grow vegetables using the Kratky Method, or any other type of hydroponic growing method. To use the hydroponic fertilizer calculator you need to either know the dimensions of your container or the number of gallons it holds. If you made a custom grow bed, you can input the inside dimensions into the Water Volume Calculator to find out how many gallons it holds. Just remember that only 1/2-inch of your net pot should be under water at the start of your grow. If you know how many gallons your containers hold, you can simply enter that number into the "Water Volume" field of the Fertilizer Calculator, and the remaining ingredients will be calculated for you once you select either Lettuce or Tomatoes. Calcium Nitrate should be stored separately from the MasterBlend Fertilizer and Magnesium Sulfate (Epsom Salt) because they cause a chemical reaction in their concentrated form. It is also recommended that you dilute them before they are combined to be the final nutrient solution. For this reason, you should not buy the pre-mixed formulas that people are selling on eBay or Amazon.